All photos are the sole property of Suavere Persians and may not be copied without our express permission. Thank you. Celebrating the elegant and affectionate Persian cat, preserving the purebred Persian breed as detailed in the CFA Persian Breed Standard. 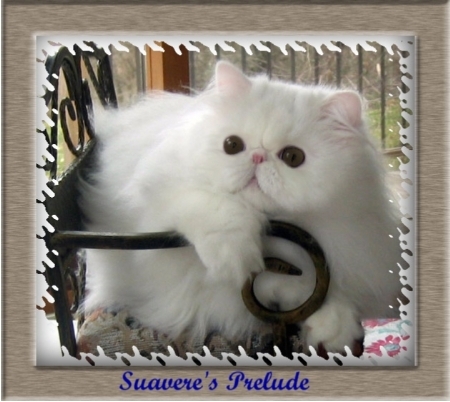 A beautiful Persian----the adorable sweet face with large expressive eyes, short broad body with heavy boning , a flowing coat, their gentle and loving nature. The Persian is a site to behold in the show ring and a loyal companion purring on your lap so it is no wonder that the Persian is #1 in popularity among the purebred cat breeds. Health is important as well and as a part of that commitment our cats are tested DNA negative for PKD (polycystic kidney disease---an inherited kidney disease). The DNA screening assures our cats do not have the disease and will not pass it on to the next generation. We enjoy the companionship of our cats as they are part of our family. Our kittens are showered with love and care by everyone in the family. In the best interest of our cats and as they are not a business venture we do not offer stud service, no grooming parlor and no boarding. As you browse the pages of this website you will see pictures of the beautiful Persians that have graced our lives (past and present) and their show accomplishments---Grand Champions, National and Regional Awards, Distinguished Merit awards. And use the link below ""National Winners"" to see the amazing pictorial of our 2 precious boys who earned our first National Wins as well as those who earned the title since. "Upcoming Stars" are in the show ring now as well as those with achievements in recent years. If you have always desired a Persian Kitten for your very own companion, take a look at our "Available" page. Persian Show Kittens are also sometimes available and should direct your inquiry via email. We occasionally offer an adult Persian to a loving forever home. The cat will be neutered, shots up to date, vet checked. 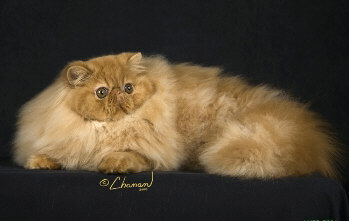 Adult show quality Persians also available. View our "Adult" page for more information. Enjoy your browsing thru the pages listed below that celebrate beautiful Persians . Thank you for visiting with us and "have a Great Day" ! !